The college application process is a stressful time for both students and their parents: college visits, narrowing down the choices, SAT or ACT exams, applications, essays, recommendations, and then – finally – your child finds that she has been put on the waiting list for her first choice college. Yes, it may be discouraging, but all may not be lost. There are some things that your “almost” college student should – and should not – do. What is a wait list and how does it work? First of all, understand the nature of a waiting list. Being placed on a waiting list is not a rejection. The college has said that your student is qualified for admission, but that they do not currently have a space for him. The wait list is a pool of qualified students from which the college will draw if accepted applicants choose to go somewhere else. There is a trend in higher education today for more and longer wait lists. However, some statistics indicate that as many as 30% of students who are placed on a waiting list will actually be accepted to the college. Did your student apply to more than one college? (Many students today are applying to seven or more schools.) Was he accepted at more than one college? Probably. So were many other students. Many who were accepted to a college will choose another institution. That may open up a space for your student. Many students who have been placed on the wait list will choose to go somewhere else. That may also open up a space for your student. A wait list is usually a non-prioritized list of qualified students. That means that when an opening occurs the admissions staff will relook at the entire pool. This is because they need to balance the incoming class. They may need to balance gender, location, majors, activities (do they need a basketball player or a French horn player?). This may be one of the reasons why your student may not be told, or may not be able to determine, where on the wait list that she falls. So yes, the stress of the application process may be extended if your student is placed on a waiting list for his favorite college. But what, if anything, should he do? This is, after all, a waiting list. Should he just sit and wait? Possibly, but probably not. Then what should he do? The questions that your student needs to ask first are not of the college, but rather of herself. She should reevaluate her interest in the school for which she has been waitlisted. 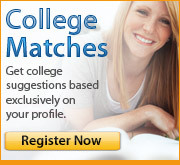 Why is that college her first choice? Is it really better than a school to which she has been accepted? Being waitlisted may give her time to think carefully about why she was drawn to a school. With more time to consider, she may decide that she is very happy with a school to which she was accepted and she will choose to withdraw her name from the wait list. Move ahead with the process at a school to which he was accepted. Even if your student decides to remain on the wait list for one (or more) college, he should proceed with acceptance process at another school. Go ahead and make the deposit. Although it is non-refundable, it will guarantee your student a spot in the incoming class. He should complete all required forms, begin to visualize himself at the school. Complete registration and/or orientation. Once he has begun to identify with the school to which he has been accepted that may also affect his decision about remaining on the wait list. More importantly, if he is not accepted from the waitlist, he will have a spot somewhere ready for him in the fall. Let the school know that she is still interested. When the school needs to move to its wait list to begin accepting students, the admissions staff will be looking for students who have demonstrated interest in attending. Your student should let them know that she is still interested in the institution and that she will attend if accepted. She might mention again why this is her first choice of college. Being specific about her reasons is often helpful. A phone call or letter at this point is appropriate. It may be the factor that moves her application to the top of the stack, or helps the admissions counselor remember her name when her application does come up. Send any new information that may be helpful. If there is new information available now that was not available at the time of application, your student should send it. Are senior year final grades available? Has your child received awards or scholarships or special recognitions? Has he participated in a special event or program? The more information that the admissions counselors have, the more informed their decision may be. Waiting is not an easy thing to do, but sometimes, once you have expressed interest and provided new information, it is the only thing to do. It will not help your student’s cause to pursue an admissions counselor, send gifts, make daily phone calls, or ask for multiple additional interviews. In fact, these tactics may actually hurt his chances of being considered. Remember that the school has already told your student that he is qualified. Your student has expressed continued interest and possibly provided additional information. Now is the time for him to move on. He may receive the phone call or letter to let him know that he has been removed from the wait list and been admitted, or he may not. He needs to be prepared to move ahead. Once the stressful decision time is over, chances are that he will settle in and thrive wherever he finds himself.